It’s been a while since I’ve put something on here, mostly because I’ve been flat out! 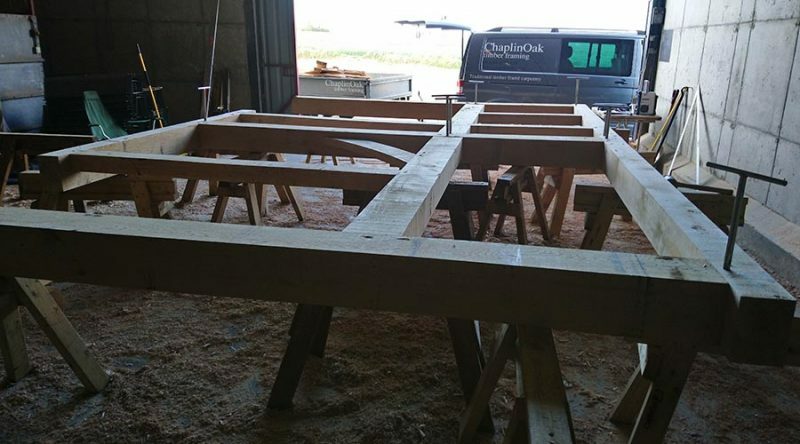 Here we have a picture of a typical ‘lay-up’ of a medium sized frame, this picture is of one of the side walls. This is definatley the easy part with this frame as the workshop is large and access is good. The destination is down a classic Suffolk lane (with grass in the middle), then off a track which leads to a smaller lane! So the timbers will have to be delivered on a narrow trailer.